According to at least one Twitter survey, fans are not exactly keen on the prospect of shelling out $20 to watch aging superstars Tiger Woods and Phil Mickelson duke it out in the desert next month. Of the poll’s 3,476 respondents, 71% answered that they would not be opening their wallets to watch the commercial-free and mic’d-up broadcast, with many of them voicing their dismay in the comments section. 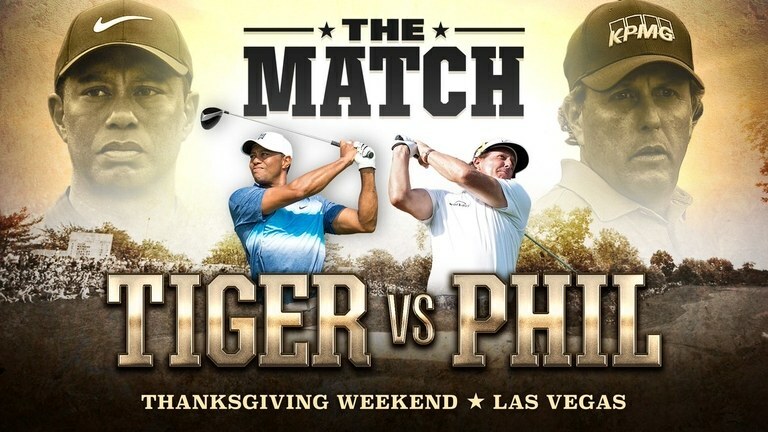 The survey was in response to a Turner Sports press release on Thursday that provided details about the upcoming event, including its $20 fee and horrendous, new name: “Capital One’s The Match: Tiger vs. Phil.” According to the release, the duo will tee off at 3 p.m. EST on November 23 at Shadow Creek with the winner taking home a cool $9 million, portions of which will be donated to charity. Canadians will be able to purchase the pay-per-view broadcast through Rogers, Bell or Shaw, as well as through Bleacher Report’s app, B/R Live. It was also announced that HBO’s popular reality show 24/7 would air exclusive, behind-the-scenes coverage of Tiger and Phil’s preparations for The Match, and that TNT would air selected footage of the event in the weeks following the competition. In an effort to hype the event, Mickelson made an appearance on TNT’s Thursday-night broadcast of the Lakers/Nuggets game, assuring potential viewers that there would be plenty of trash talk and pricy side bets issued during The Match. While Heron Point may frequently host Member events and tournaments including the RBC Canadian Open Final Qualifier, recently they hosted some of Ontario's finest collegiate golfers. The Ontario University Athletics (OUA) held their 2018 OUA Golf Championship tournament at the ClubLink course located in Alberton, Ontario. To learn more, click here. You know what they say: The seventh try is the charm . . .
On a side note: We generally do not condone club throwing in any situation. But if you are just going to film your friend’s bunker struggles and laugh hysterically, you almost have to expect some type of retaliation coming your way! To be fair, this guy has a pretty unique waggle. But his pre-shot routine is longer than the 18-inning marathon the Dodgers and Red Sox played on Friday night/Saturday morning and that is just unacceptable! Yeesh! The way the weather has been here recently, we might be playing through a few of these blizzards at ClubLink courses in the coming weeks.